People are being encouraged to help women and girls in Wolverhampton who cannot afford sanitary products by supporting a City of Wolverhampton Council collection. It is estimated that a fifth of UK parents are struggling to afford to buy sanitary protection for their daughters, with over 135,000 girls missing out on school each year because of ‘period poverty’. 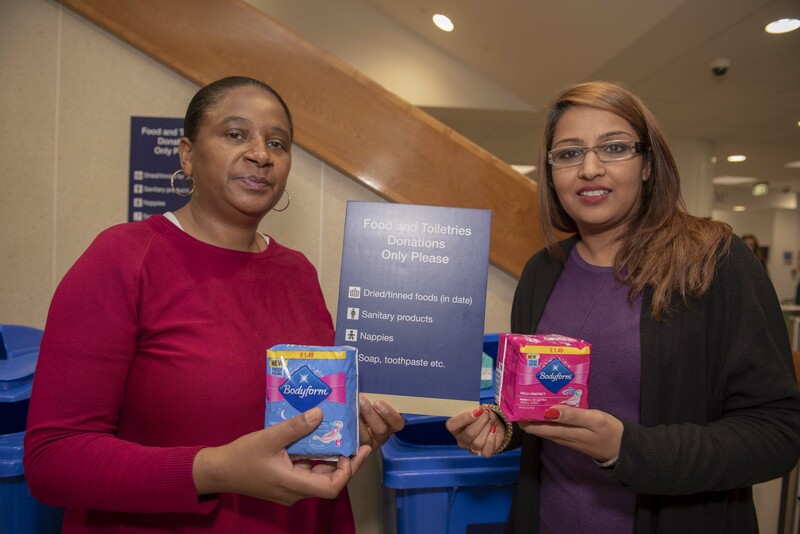 To help, people are being invited to donate sanitary products – along with other much needed items such as toiletries, nappies, soap and toothpaste – via a collection point at the rear entrance of the Civic Centre in St Peter’s Square, Wolverhampton. Non-perishable foodstuffs can also be donated at the collection point. All donations will be distributed to Wolverhampton families living in poverty via local food banks and voluntary sector organisations. Councillor Lynne Moran, the City of Wolverhampton Council’s Cabinet Member for Education and Skills, said: “One in three children in Wolverhampton are living in poverty; this affects their readiness to learn and subsequent educational attainment, with disadvantage accumulating further into adulthood. Councillor Hazel Malcolm, Cabinet Member for Public Health and Wellbeing added: “Our Public Health team is leading on work to understand the impact of poverty on Wolverhampton families, including the impact and extent of period poverty in our city. The collection point is available at the Civic Centre during normal opening hours – 8.30am to 5pm, Monday to Thursday and 8.30am to 4.30pm on Fridays. Previous PostNational Award for Our Leader!! !